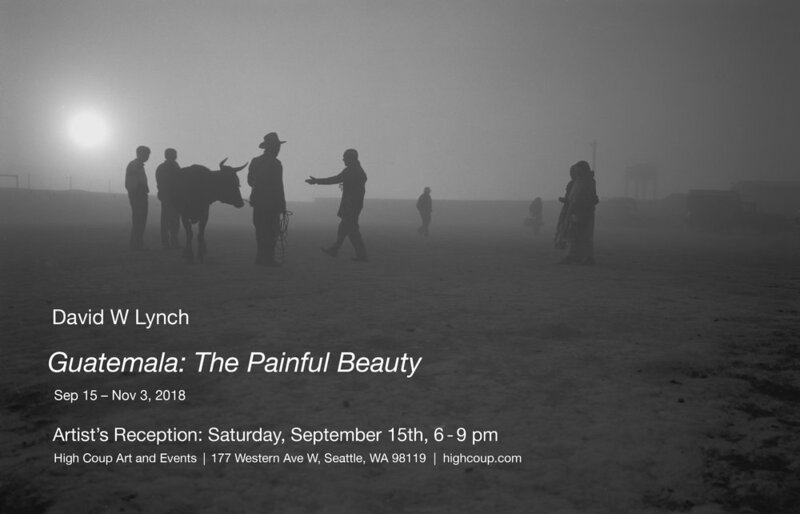 Join us for the opening night celebration of "Guatemala: The Painful Beauty" and meet Vashon Island-based photographer David W Lynch, who for decades, through the lens of a large format camera, has patiently chronicled life, hope, struggle, and revolution in Central America. Saturday evening, September 15th at 6pm. Cake and bubbly will be served. David grew up in New England, resultantly his "standard equipment" includes Yankee Ingenuity, manners and subtle social graces which serve him well as an extrovert and world nomad. On Vashon, he's seemingly one of the locals, and he knows everyone, but a word like "idears" may slip out and this may be your first clue that he's not from around these parts. Over the years David has often disappeared for many months at a time. South. Somewhere south. Central America. Mexico? Where? What's he doing? Taking photos. Often, I didn't know until a phone call or message upon his return. "I'm back, let's get together." He uses film, and large format cameras, and one very large format camera. Megapixels? He don't care about no stinking megapixels! He's been a viewfinder away from civil war in Guatemala. He's chronicled the subsistence economy and family life in the literal dumps of Mexico City, and he's taken a moldy fire suit on an Ansel Adams-like tour of the southwest. His portraits may be raw, vulnerable, and even dosed with danger, but they alway convey the majesty of the subject. 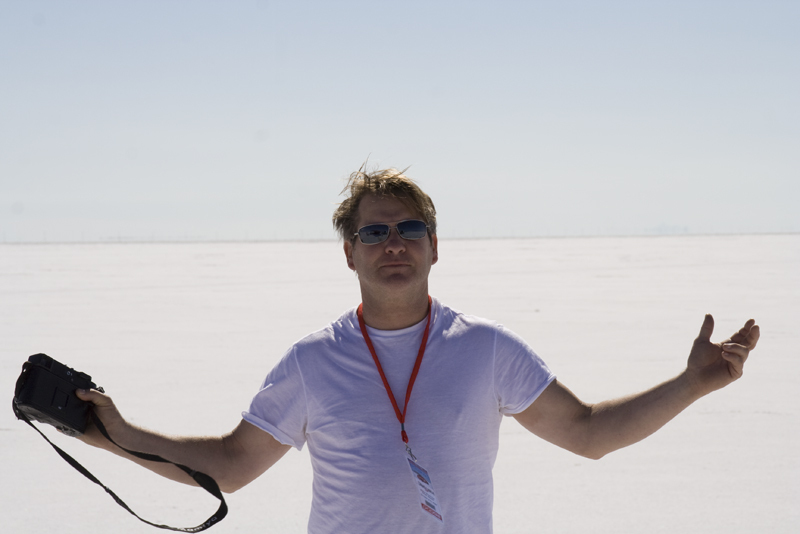 On the Bonneville Salt Flats, Utah, 2007.